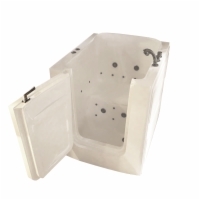 The Easy Soak Small from Sanctuary is ideal for those who live in apartments or even in mobile homes and trailers, and need a small tub with a front facing swing out door. This walk-in tub is made from Acrylic, which comes with a variety of benefits over fiberglass. 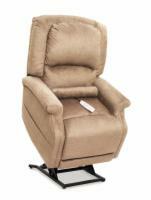 It won't chip or crack under normal conditions, and is non-porous so it won't stain and is easy to clean. 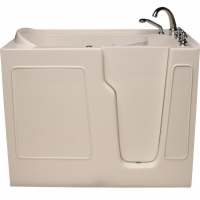 Best Feature: The Easy Soak Small is compact enough to be used in small apartment bathrooms and mobile homes. 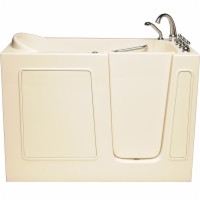 Our Recommendation: Like the Petite version, this model is small and so larger customers will want to look at a larger Sanctuary walk-in tub. Also, the swing out door needs to be accounted for when considering where to install the unit.